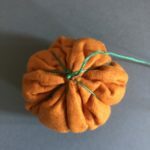 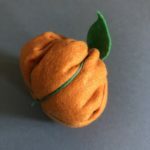 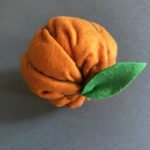 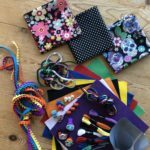 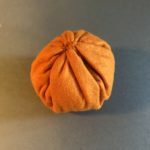 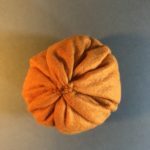 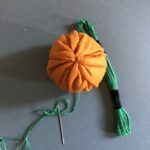 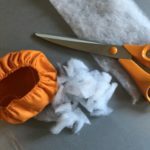 It’s a simple, felt pincushion but this is such a quick and easy make that if you were celebrating Halloween and having a spooky party, these would make fantastic decorations. 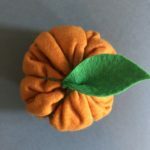 They’re a lot safer and much less messy to make than carving out real pumpkins. 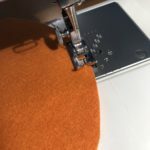 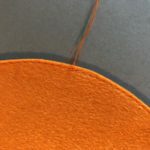 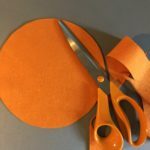 and cut out a circle of orange felt. 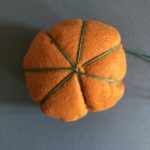 Now draw up the stitching as far as you can and stuff the pumpkin. 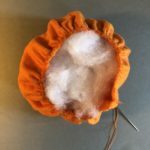 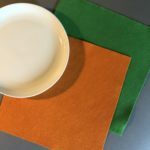 and attach it to the pumpkin using the rest of the green cotton.